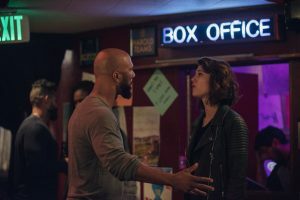 (l-r) Common and Mary Elizabeth Winstead star in ALL ABOUT NINA. ©The Orchard. CR: Elizabeth Kitchens. 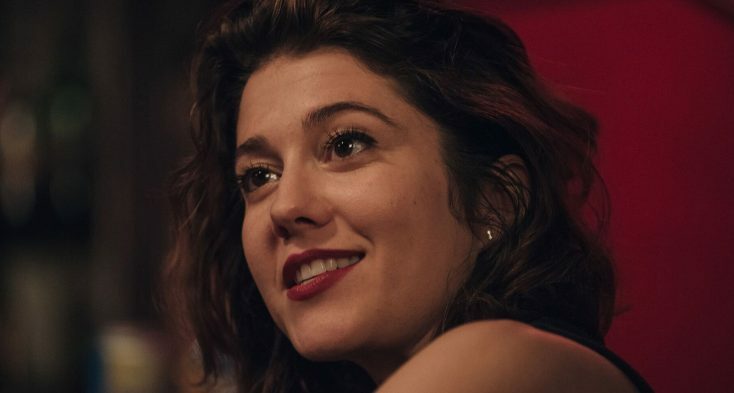 HOLLYWOOD—Mary Elizabeth Winstead plays a stand up comedian in the film “All About Nina.” But there’s more drama than laughs in her portrayal of a young woman with some troubling issues when it comes to men and relationships. After leaving her abusive, married boyfriend (“Gossip Girl’s Chace Crawford), the titular up-and-coming comic decides to leave New York for the West Coast for a fresh start and a possible chance to get a coveted TV standup special. Her life becomes complicated once again when she meets Rafe (Common), a handsome building contractor who sweeps her off her feet after a night of dining, dancing, drinking and playing slapsies. Fearful of commitment because of her previous bad relationship and other factors, Nina struggles with her intense passionate feelings for Rafe and her dreams of making it in the City of Angels. The R-rated film by first-time feature filmmaker Eva Vives explores the challenges of modern day relationships and how scars from events long ago can resurface at any time. The brunette actress, who is set to star as the DC Comics character Huntress on CW’s “Birds of Prey” TV series, spoke at L.A.’s iconic Laugh Factory comedy club about taking on the role of a funny woman trying to deal her past and fear of commitment. Q: Has your mom seen this film? Winstead: Yeah, I had to kind of warn her a bit. She hadn’t seen me play a character quite like this before so it was a bit of new territory. Q: How was it getting up on stage and doing a comedy act? That must be worse than having to deliver a speech. Winstead: Absolutely. That was probably the most terrifying thing about all the scary things I had to do in this movie was trying to make people laugh and then, by extension, the audience of filmgoers laugh, which was really a scary prospect. Q: Had you visited a lot of comedy clubs beforehand? Winstead: Yes, just in general I’ve always been a comedy fan. I’ve always been an admirer of comedians. It wasn’t like getting into this film was completely new territory in terms of watching comedy. I’ve always been interested in it from a spectator’s viewpoint. One of Eva’s big references for the film was “Lenny” (Bob Fosse’s 1974 film about controversial comedian Lenny Bruce). She also was inspired by (John) Cassavetes films. So, I knew it wasn’t going to be a comedy in the sense that it was going to be light and snappy. I knew we weren’t going to be doing jokes that were meant to be punchline/zinger jokes. This was a comic talking about being a woman. That took a little bit of pressure off of trying to do something where the cadence is a set up with a laugh at the end. It was deeper than that. I tried to figure out who was Nina and what does she think is funny and why. Q: Nina has a ritual before she goes on stage in which she repeats to herself, “You’re the boss! You’re the boss!” Did you come up with that? Winstead: That was shot during one of our first days. It’s an interesting scene because none of that is scripted. I remember we had been talking about Scorsese films and characters a few days before, and how it might be cool if Nina sort of lived in that kind of world. So, we watched a scene from “Raging Bull,” where Robert De Niro is looking in the mirror and psyching himself up. We just kind of decided to go off that inspiration. But it took on a whole new meaning with Nina saying, “I could have been a contender” (a line from Elia Kazan’s “On the Waterfront”). It just meant something totally new. It’s one of the memorable parts of the movie for (both me and Eva). We were kind of in tears towards the end. It hit us in a way that was unexpected. Q: Nina has a serious breakdown onstage in which she reveals a dark secret from her past. Did you do multiple takes of that scene? Winstead: I think I did it three or four times. The last take, we had to do it again because I screwed up a line or something went wrong so had to do it again. But, for the most part, we didn’t want to push it or mess with it. It was an amazing but heavy day on set. It was very emotional for everybody. It was a quiet, intense energy. Q: Did you shoot that before an audience? 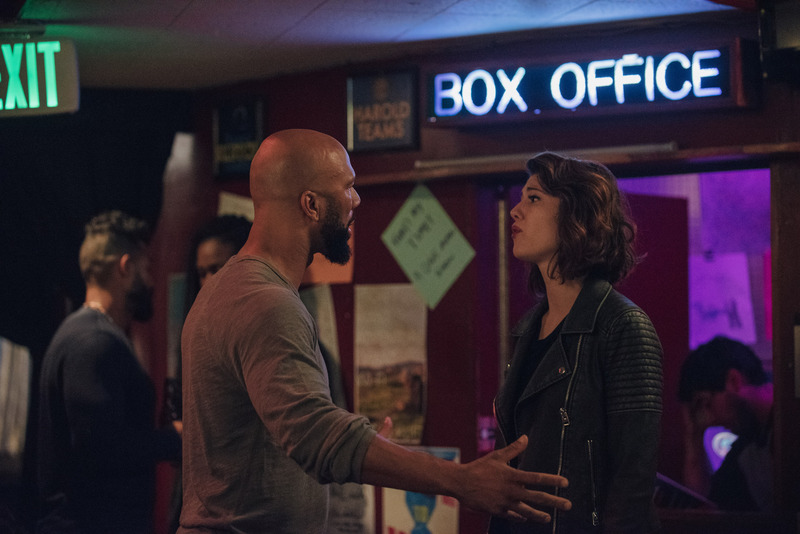 Winstead: Yeah, there were some takes where we did it in front of an audience. For the close ups, no. But it’s kind of a blur. Q: Did you know your co-star Common before this? Winstead: No. I don’t think I knew anyone on this film prior. It was new interactions with everybody. Q: Did you get a chance to get to know each other before filming? Winstead: No. I kind of wanted to get to know him through working and shooting because it is kind of the nature of the relationship. They meet and get to know each other and it all sort of unfolds in the film. I felt like I didn’t want to rehearse too much or get to know him too much beforehand so it would feel a little more real on the day (of shooting). Eva, Common and I had a day where we met at his house and rehearsed a couple of scenes and then we talked about relationships and how we related to the script. It was so clear that he’s exactly what he seems to be, which is this kind-hearted, loving, respectful person. I felt like it was going to be easy to work with him and collaborate with him, and go to these really vulnerable places, and be silly, emotional and all these things we needed to be together because he was going to be somebody I could trust. It was lovely from the get-go. Q: Was he comfortable with the intimate scenes? Winstead: He was great. Anytime you do scenes like that, you hope that you can come up with parameters together and talk about what you’re going to do, and within those parameters, you can sort of let go and be free. That’s how we did it, and he was the perfect partner for that. There was no sense of not being comfortable or sure that he was going to have my back as my scene partner. Winstead: I just finished a movie called “Gemini Man” with Will Smith and Clive Owen, directed by Ang Lee. It was great. Ang is so lovely. I feel really honored to have worked with him. Now, I’m just looking for the next thing. It’s nice to have a little break because (shooting “Gemini Man”) was a six-month-long shoot. Winstead: We started in Savannah, Georgia and then we went to Cartagena, Colombia and then to Budapest. We were a couple of months in each of those places. Q: Now, that you’ve played a stand up comedian, would you want to do stand up? Winstead: No, definitely not! I’m definitely amazed at the people who do it. It’s such a skill and my hats are off to them.